This is an AOSCGWA tour. Guests are welcome. 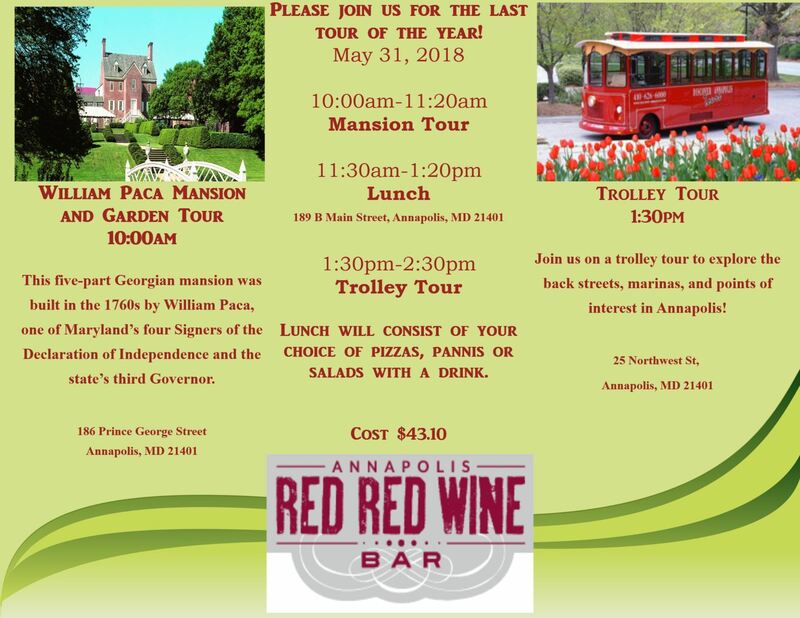 The cost for the Mansion, Garden and Trolley Tour is 43.10. Reservations will not be guaranteed until payment is received. We will not be offering refunds for cancellations at this event. If you are unable to attend, you may transfer your ticket to another AOSCGWA member. You will be responsible for this transaction. This is an AOSCGWA Members-Only tour with a limit of 25 attendees. The cost for the Tea and the Tour is $62.75. Reservations will not be guaranteed until payment is received. We will not be offering refunds for cancellations at this event. If you are unable to attend, you may transfer your ticket to another AOSCGWA member. You will be responsible for this transaction.